PC repairs Chesterfield: covering all areas in pc desktop and laptop related problems. Tech CPR LTD offers PC Support, Repairs, Virus Removal, Wireless set up, Residential and business IT consultancy, Installations, as well as a wide range of offer computer related issue Throughout Chesterfield, Derbyshire and South Yorkshire. So if its a none starting PC, or a network that needs building, Tech CPR LTD in Chesterfield have got you covered. Providing down to earth computer services in Chesterfield, Derbyshire. We are able to come to your home or place of business, assess your computing requirements. We are sure we can provide quality solutions to fit every budget. Why spend your time struggling with your computer. We have been serving Chesterfield for over 3 years with quality PC support and repair solutions. We offer local and personal onsite computer repair service as well as a drop off repair service at our shop in Chesterfield. 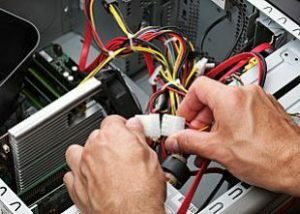 We offer a full range of computer repair, upgrade, maintenance, troubleshooting and connectivity services. Our computer repair technicians are ready and willing to help with all your home or business PC problems no matter how big, or how small. We can help you set up broadband, email accounts, messenger services, software, hardware and everything you need to get you started. We are a Which? Trusted Trader and able to offer services and products from all the main PC service providers. We are also happy to repair all Macintosh related problems. For all questions please call us at Tech CPR LTD on the number above, or use our Contact Page. Trust Tech CPR LTD PC Repairs Chesterfield with your Home or Business PC for first class support. Tech CPR PC Repairs Chesterfield Covers the following areas: Chesterfield, Sheffield, Matlock, Clowne, Claycross, Dronfield, Derbyshire and South Yorkshire, If you are based outside of our usual areas please get in touch, we may still be able to help.